Radon cannot be seen, smelled, or tasted, but its presence could be all too real in your home. Radon is a naturally occurring gas caused by the decay of radium, thorium, and uranium in the soil, and it can enter your home through cracks in your foundation or even seep inside with groundwater. Exposure to dangerous levels of radon is the leading cause of lung cancer among nonsmokers in the United States, claiming the lives of more than 21,000 residents every year. The good news is, exposure to high levels of radon is an easily avoidable health risk if the proper steps are taken. 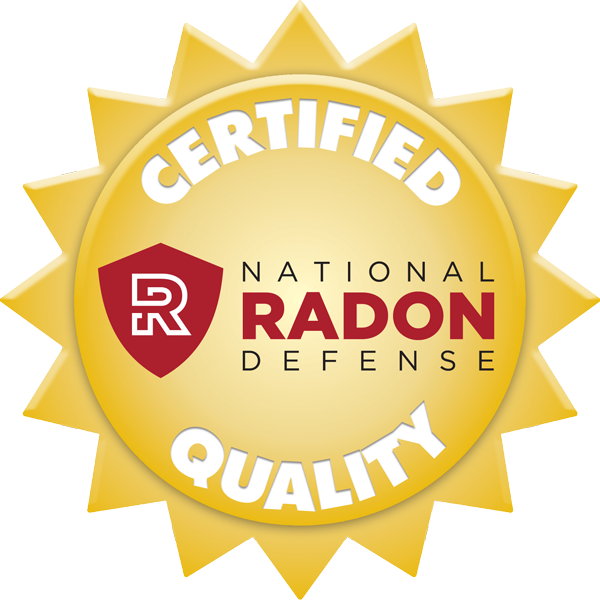 The Environmental Protection Agency (EPA) has designated January as National Radon Action Month, a time when homeowners are encouraged to learn about the dangers of radon exposure and take action to protect their homes through radon testing and radon mitigation. During this month, your number one priority should be to perform a radon test for your home and, if high levels are found, install a radon mitigation system to restore your home's health and safety. If you're looking for other ways to get involved as well, help spread the word by urging others to protect their health by performing radon tests in homes, schools, and offices. Below, we have provided some answers to commonly asked questions about radon so you can learn a bit more about radon exposure. Be sure to share the knowledge with your family and friends! Do I need to re-test my home for radon? If so, how frequently? The EPA recommends re-testing your home for radon approximately every two years. You should also perform a radon test if you have recently renovated your home or expanded your living area into a lower level such as a basement. These new living areas could have a higher radon level than the rest of your home, and a major renovation project can change your home's radon levels by creating new entrances for the gas to seep into your home. You may also want to perform a new radon test during different seasons, as seasonal changes can affect radon levels. Radon testing is both simple and affordable, so it can never hurt to perform a new check for this potentially dangerous substance. I'm buying/selling a home. What do I do? If you are buying a new home, it's always a good idea to ask for a copy of recent radon test results. Even then, you may want to ask for a new test if the radon testing checklist items were not met, the last test was not performed recently, or you plan to live in a level of the house that is not currently occupied. The same criteria goes for those selling their home: always perform a radon test and review to ensure it was done correctly, take any steps necessary to install a radon mitigation system if high levels are found, perform a new radon test if you've recently completed renovations, and provide your radon test results to the buyer. Review this Home Buyer’s and Seller’s Guide to Radon from the EPA for more information. How do I know if there's radon in my area? No matter where you live, it's possible that your home may have high radon levels. Every homeowner should conduct a radon test, regardless of geographic location. While some areas of the country have been shown to have lower radon levels on average than others, it's important to keep in mind that dangerously high radon levels have been found even in places that are generally considered low risk. No matter your location, radon testing is always a good idea. Can radon levels vary from house to house in a neighborhood? Yes. Radon levels vary from home to home, so even if your neighbor's home tested fine for radon, your home could be completely different. Radon levels depend upon a number of factors that are unique to your specific home, so the only way to know if your health is at risk is by completing a radon test. How can I trust that the radon test is accurate? When you're ready to test your home for radon, you can either order a radon test kit from a qualified radon contractor or laboratory, or you can bring in a professional radon tester to complete a home inspection and select the radon test device that is most suitable to your home. To ensure the accuracy of your radon test, be sure to carefully follow the instructions and consult the EPA's Radon Testing Checklist. Your local radon contractor or state official can help you select the most up-to-date radon device and recommend which options will work best for your home. If I have a radon problem, what's involved in getting rid of the problem? If a radon test reports a radon measurement at or above 4.0 picocuries per liter (pCi/L), contact your certified radon contractor to set up a radon mitigation system that is specifically designed to reduce radon levels to a healthy amount. There are several different methods for radon abatement that will prevent radon gas from entering your home while reducing your current radon levels, and your radon mitigation contractor will help you select the best option for your home's specific needs. 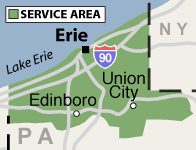 Contact Erie's Radon today to schedule a radon mitigation inspection and free cost estimate, and take the first step in keeping you and your family healthy and safe!